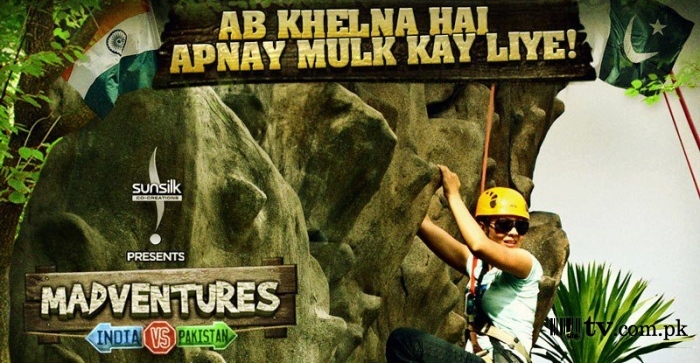 Madventures is a Pakistani adaption of the popular reality show Fear Factor. The series is premiered on ARY Digital, and is presented by Pakistani television actor Ahsan Khan. Madventures Starts From 22nd Feb, Friday At 9:00 PM (Pakistan Standard Time). Madventures is a 13 part series that aired on SET Asia. Shot in the exotic locales of Thailand. Six Pakistani and six Indian celebrities are participating in this show who will do their best to win the contest. The Show is hosted by the television actor Ahsan Khan. Six Pakistani and six Indian celebrities are participating in this show.